Businesses from various sectors are turning to outsourcing nowadays. Some choose to partner with service providers based overseas, while others go with IT support Orange County. You’d think that all organizations would want to go with local support, but offshore providers offer lower-priced subscription fees, making them harder to resist. Offshore providers can answer calls and reply to emails at any given time thanks to the internet. But they’ll have to drive long or fly in for any emergency that needs hands-on fixing. You’ll be waiting for a whole day at the very least – if they’re even able to send someone out in the first place. The next option they have is to hire a local partner to visit onsite, but that partner will not have sufficient knowledge of your company’s IT processes beforehand. However, a local managed service provider (MSP) knows everything about how your company uses their services. They can also come to your office within minutes or a few hours whenever necessary. An MSP based in the same city have the same company culture as yours does. If they don’t have the same one, then at least they have something highly similar. This makes liaising with IT support Orange County much easier because you share the same work ethics and communication styles. That can’t be said for MSPs based in another country or even just another state. Things can be misconstrued because of cultural differences. Plenty of time can be wasted if you and your MSP aren’t on the same page. You may both speak English, but a lot of stuff can still get lost in translation. Your company’s industry may be different, but it still operates in the same area as local providers. This means the both of you have the same geographical market, giving local MSPs an edge over offshore MSPs. They know the available technology in your city, and so they know how to maximize it to their (and their clients’) advantage. They know the industry standards and regulatory compliances as well, so they also know how to adhere to these without you having to tell them how to adhere. Working with a local MSP is about having a partner who knows your needs right from the start. You know how people often say support local businesses? Local MSPs aren’t an exception. When you support a local MSP, you in turn help strengthen the local economy. And when the local economy is strong, people in your area have more purchasing power to buy goods – including what your company produces. 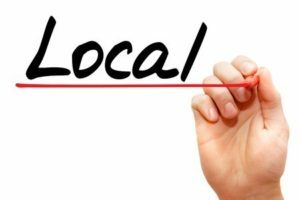 If you want your local market to patronize your products or services, start by choosing a local MSP to handle your IT processes. Though the internet has made it possible to connect with anyone in the world, nothing beats a close relationship fortified by proximity. That’s true whether it’s a personal or professional relationship. So, if you’re looking for an MSP, choose IT support Orange County like us at Intelecis, Inc. Contact us today for more information.